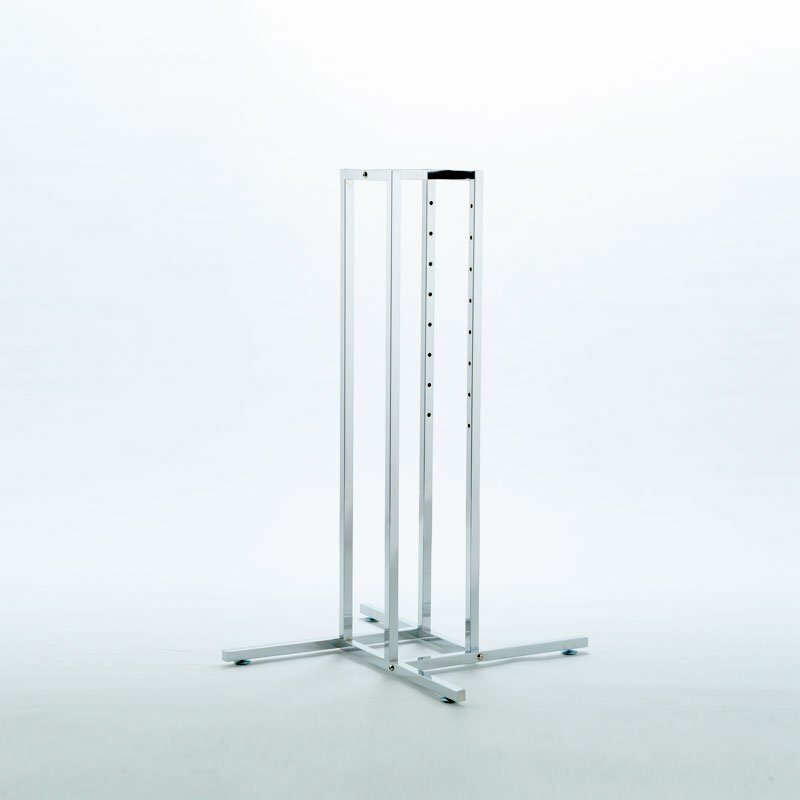 Our 4-way clothing merchandising rail base is the perfect shop floor merchandising tool. With a large square base, it is sturdy enough for whatever your merchandising needs. Tubular base (arms sold separately). Base allows arms to be adjusted every 75mm from 1220mm to 1830mm. Chrome plated.